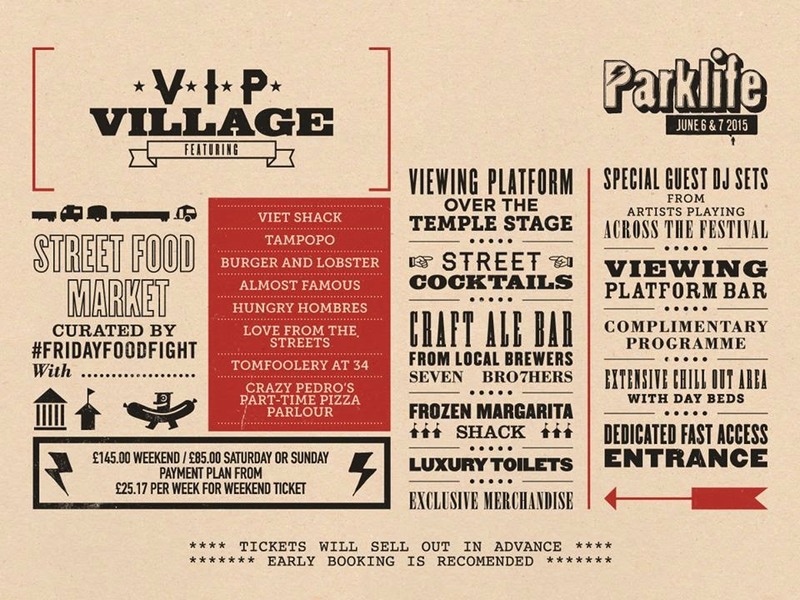 Friday Food Fight team up with Parklife for their VIP packages. With the summer fast approaching, our minds thus turn to the inevitable commencement of ‘Festival Season’. The undoubted highlight of which, if you’re based in the North West (or, let’s face it – pretty much anywhere in the UK these days) is Parklife – which has over the last few years cemented its place as one of the most popular weekenders' around. This year looks set to be the biggest yet. With mainstream pop sensations Disclosure and Rudimental joining the likes of hip hop royalty Wu Tang Clan and Nas on what is easily Parklife’s most diverse line-up to date. "We've known the guys at Parklife for a couple of years and loved going to the festival, so you can imagine how excited we were when they asked us to get involved. We will be bringing some of the best of FRIDAY FOOD FIGHTS restaurant's and street food heroes to Heaton Park on the 6th & 7th June. Expect everything from Lobster Rolls, to the freshest Viet Street Food, can’t wait!" Sunday tickets are desperately low – Saturday tickets sold out ages ago. If you want to go, it’s becoming a desperate situation. However – don’t abandon your plans to buy a fresh vest and triple white Huaraches ‘for the summer’ just yet. Inner City still have payment plans available for the full weekend packages, plus plenty of VIP tickets to spare too.